Over the course of the next two weeks, Summit County is hosting two Olympic qualifying events. This week, big air skiers and snowboarders are hitting Copper Mountain in hopes to qualify for the 2018 Olympics. Male and female competitors from around the world will be competing in the U.S. Ski and Snowboarding’s annual Grand Prix World Cup event. The competition this year will be fierce among the Americans as they try to qualify for the Olympic team. Competition is going to be especially tight in the halfpipe. Olympic gold medalists Shaun White and David Wise are the top snowboard half-pipe competitors and will be competing against one-another starting Thursday, December 7th. On the ski halfpipe side, local athlete Taylor Seaton who grew up in Avon will be among the top talent to watch. Seaton finished on the podium in two World Cup events last year and could threaten to take the podium once again. Vail Ski & Snowboard Academy graduate Aaron Blunck of Crested Butte, is the reigning X-Games champion and will be going head-to-head with Seaton. The incentive for Americans to make the halfpipe podium at Copper on Friday and Saturday is especially high this year due of the way the qualifying criteria is set up. Three spots on the Olympic team will be given to the athletes who meet the objective criteria, which is a podium finish at a qualifying event; such as the Grand Prix at Copper and the upcoming Dew Tour scheduled for Dec. 14-17 in Breckenridge. For snowboarders, in order to qualify for the Olympic team, they need to have one podium finish in any of the qualifying events. If more than three athletes have podium finishes, then the team will defer to the World Cup scoring system. The American athlete with the best result will be awarded 1,000 points, the athlete with the second-best result 800 points, the third best 600 points and so on. Those with the most points make the team. Skiers have to work a little harder to qualify for the U.S. Olympic team as they must earn two podiums total. Halfpipe skiers already had one Olympic qualifier last season, and on the men’s side, Americans swept the podium. Those athletes — Torin Yater Wallace, Gus Kenworthy and Taylor Seaton —must only land on the podium once in an upcoming event to meet the minimum objective criteria. A fourth Olympic team spot will likely be given to a competitor of the coaches’ choosing – it’s totally subjective. The field will be deep with competitors from Canada, France, Japan and a host of other countries known to produce good halfpipe athletes. Halfpipe ski finals are scheduled for 11 a.m. on Friday, with halfpipe snowboard finals scheduled for 11 a.m. Saturday. 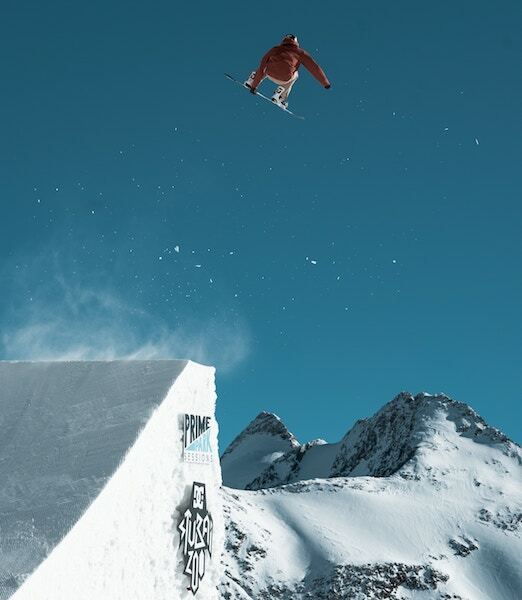 The additional qualifying events for halfpipe and slopestyle are the U.S. Grand Prix on January 10th – 12th in Snowmass, Colorado and the U.S. Grand Prix on Jan. 17th – 19th in Mammoth, California. For more information about all the Olympic qualifying events click here.